Last Tango is pleased to present Donatella Bernardi’s and Wong Ping’s first exhibition in Zurich. With contrasting positions, their work explores memory and cultural heritage. Multiple ways of looking at shifting identities take shape. Bernardi’s title The Belly of the Phoenix indicates a course of cyclical regeneration, playing on the notion of sedimentation, layering and sagging, aging and getting new curves and fluctuations, like the famous Michelin figure, an accumulation of tires witnessing many journeys, a transforming figure instead of a birth coming from the ashes of a lost body. What does it mean to be in a constant process of interaction, with people and places? Specifically mediation between oneself and what stands external to you (be it one’s identity as an artist, the parent-child relation or lineage in general, institutional ties and function, teacher-student or even superior and subaltern). In contrast, Wong delves into the ambiguous world of fiction. With satire and ironic caricatures, his scenarios portray taboos and the obscene as pipe dreams against oppressive systems of power. This is especially present in contemporary Hong Kong, the “one country, two systems” city-state, of which Chinese interference in local affairs has lead to pro-democracy protest and calls to patriotic education. For Side Step Trevor Yeung will further expand on the dynamics behind human relationships and the uncertain concept of identity with a site-specific project unearthing the borders of intimacy. Donatella  Bernardi has developed a practice comprising installations, publications, films, essays and exhibition curatorship. For her new body of works, Bernardi pays homage to Lebanese artist Saloua Raouda Choucair (1916-2016) and her so-called “mini forms,” a series of stratified small sculptures. Bernardi’s custom-made shaped canvas and hand-made ceramic objects will inflect both monumental and miniature scales as the forms are enlarged to the size of the Roman Bocca della Verità. With a rushing horizontal cascade of lines and marble textures Der Bauch des Phönix encodes lineage, rupture, sagging and synchronicity. Donatella Bernardi‘s interests cover questions of power, gender, post-colonialism, racial injustice and capitalism. She was part of the Zorro & Bernardo collective (2001-2006) as well as being co-founder and co-director of the award-winning nomadic and international festival Eternal Tour (2008-2012). She is currently the Director of MFA program at the ZHdK, Zurich University of the Arts and was professor at the Royal Institute of Art (Kungliga Konsthögskolan) in Stockholm (2010-2016). A former member of the Swiss Institute (Rome, 2006-2008) and a researcher at the Jan van Eyck Academie (Maastricht, 2008-2009), she is writing a PhD thesis on events and the contemporary art system in the context of globalisation under the supervision of Denise Ferreira da Silva and Stephen Fox (Queen Mary University of London). Winner of the Picker Bursary in 2013, she published her first monograph In Pursuit of Unlimited Hospitality the following year. 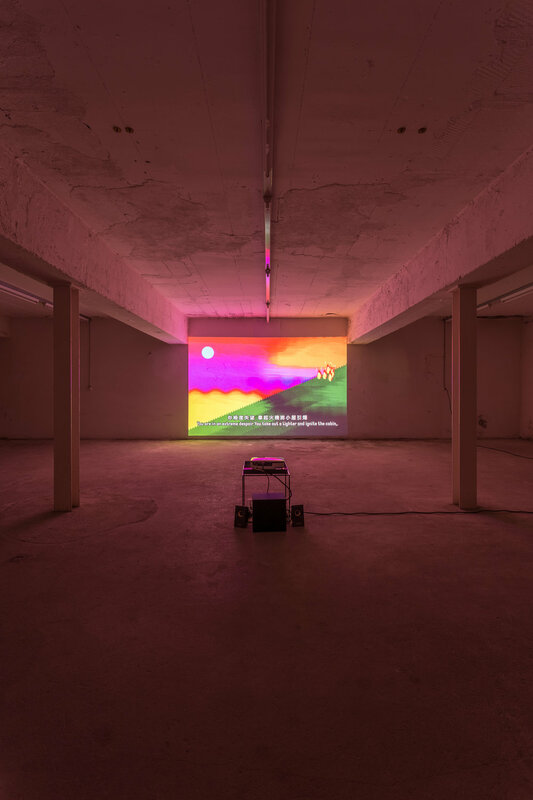 In 2015, she was a guest curator at the Kunsthalle in Bern, an experience followed by the publication of Into Your Solar Plexus (Humboldt Books, 2016). In December 2016, she presented a part of her research project Comunità Olivetti at the Swiss institute in Rome, in partnership with the Work.Master, HEAD, Geneva University of Art and Design. 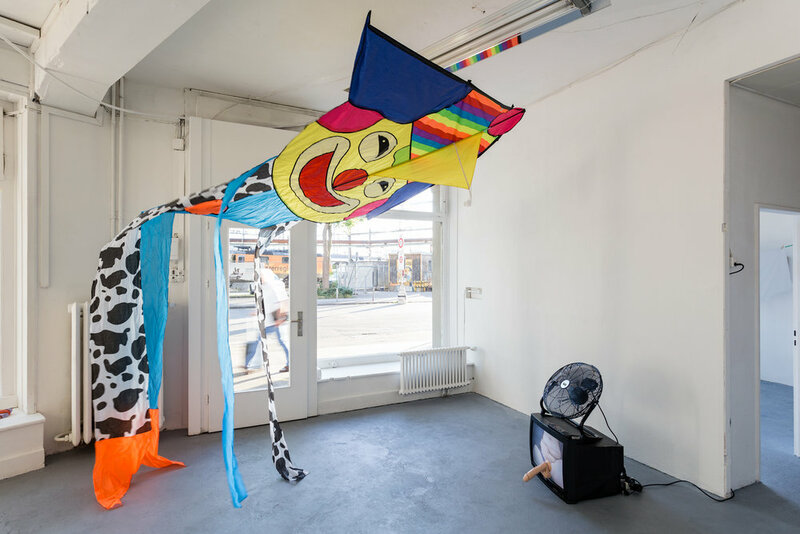 From August 2017 to January 2018, she will be in residence Landis+Gyr in Zug, and in February, opening a solo show at Corner College, Zurich. The Belly of the Phoenix is made possible by the kind support of Fonds cantonal d'art contemporain DIP, Genève. 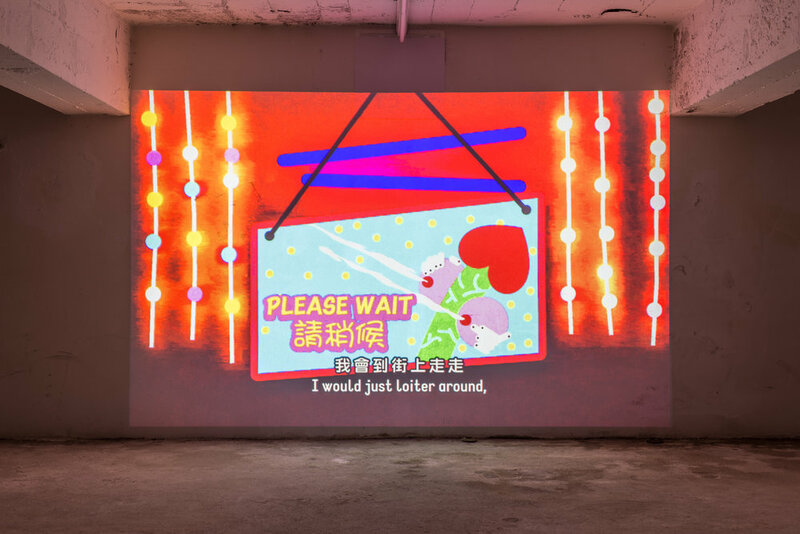 Wong Ping’s first exhibition in Switzerland exposes conformity and social correctness to their daunting alter egos: provocation and disobedience. In his raw and blatantly obscene video animations, sexual language creates a catalyst for sneaky pleasures and repressed liberation. 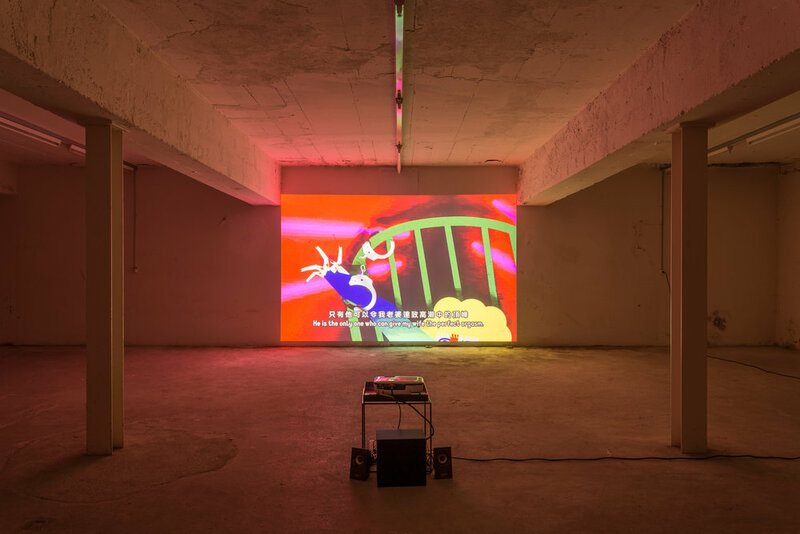 With Hong Kong and its changing status quo as a backdrop, showing at Last Tango are three video animations dealing with oppression and desire, control and limitation with social-political tones of insurrection. Wong Ping’s animations have been commissioned by M+, NOWNESS as well as Prada and he recently received one of Perspective’s ’40 under 40’ awards for his work. 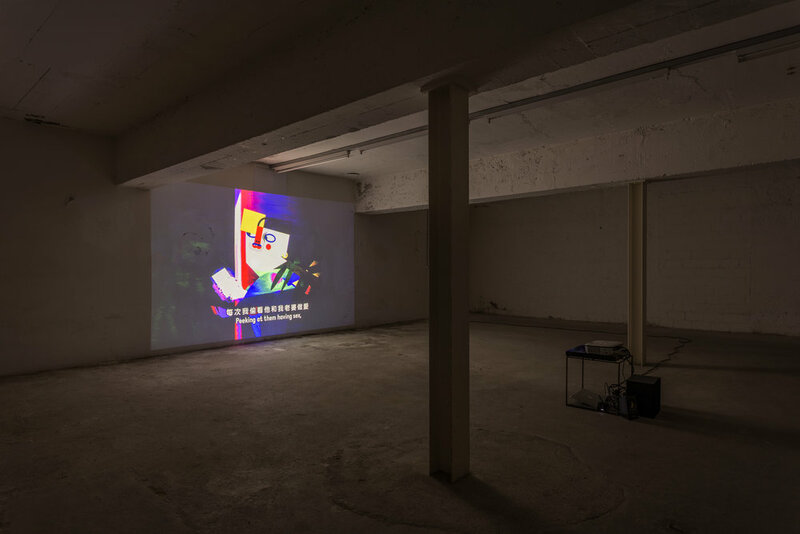 Moreover, Wong recently held a residency at the Chinese Centre for Contemporary Art (CFCCA) and has held exhibitions internationally in Manchester, Hong Kong, Istanbul, Berlin and Paris, amongst other locations. His animation films have been presented at numerous festivals internationally, from Belgium and the UK to Mexico and Australia, and have been reviewed in LEAP, ArtAsiaPacific and other publications. Trevor Yeung looks to the botanical world with works ranging from drawings, photographs and installations. Exploring notions of selfhood and relationships he has taken a keen interest in the mimosa as a psychological archetype. Known for their introvert temperament, he sees the flower’s timid disposition as a metaphor for human interactions, likening them to socially ambiguous people attracting others through furtive glances. This show comes as a carefully designed space sized on a tension: the coexistence of voyeuristic intimacy and the awareness of looking. Trevor Yeung graduated from the Academy of Visual Arts at Hong Kong Baptist University in 2010. Yeung's practice uses botanic ecology, horticulture, photography and installations as metaphors that reference the emancipation of everyday aspirations towards human relationships. Yeung has participated in exhibitions including “Seal Pearl White Cloud” at 4A Centre for Contemporary Asian Art in Australia (2016), “Adrift” at OCAT Shenzhen in China (2016), “CHINA 8 - Paradigms of Art: Installation and Object Art” at Osthaus Museum Hagen in Germany (2015) and Shanghai Biennale 2014 in China. Yeung was one of the 3 shortlisted artists in BMW Art Journey award with his solo exhibition “Garden Cruising: It’s not easy being green” from DISCOVERIES section at Art|Basel Hong Kong 2015. He currently lives and works in Hong Kong. Last Tango ist erfreut Donatella Bernardis und Wong Pings erste Ausstellung in Zürich zu präsentieren. Auf radikal verschiedene Weise erkunden ihre Werke die Themen von Erinnerung und kulturellem Erbe und kreieren dabei eine Vielzahl von Perspektiven auf sich wandelnde Identitäten. Bernardis Titel Der Bauch des Phönix verweist auf einen Zyklus der Erneuerung und spielt dabei mit Vorstellungen von Ablagerung, Schichtung, Senkung, dem Älterwerden und dem Auftauchen neuer Kurven und Schwankungen; wie das berühmte Michelin Männchen, einer Ansammlung von Reifen, die viele Reisen beobachtet, eine sich transformierende Figur, anstelle von einer Geburt die aus der Asche eines verlorenen Körpers resultiert. Was bedeutet es sich in einem ständigen Wechselspiel mit Menschen und Orten zu befinden, besonders im Hinblick auf den Austausch zwischen sich selbst und dem was außerhalb von einem steht (sei es die eigene Identität als Künstler, die Eltern-Kind Beziehung oder selbst gar die zwischen Vorgesetztem und Untergebenem)? Im Gegensatz dazu taucht Wong in die zwielichtige Welt der Fiktion ein. Seine satirischen Szenarien und ironischen Karikaturen zeigen Tabus und Obszönitäten als eine Art Wunschtraum gegen unterdrückerische Machtsysteme, wie etwa das im heutigen Hong-Kong, wo die Formel „ein Land, zwei Systeme“ gilt und wo die Einflussnahme Chinas auf lokale Angelegenheiten zu prodemokratischen Protesten und Forderungen nach einer patriotischen Erziehung geführt hat. Für Side Step befasst sich Trevor Yeung einmal mehr mit der Dynamik von menschlichen Beziehungen und der Unbestimmtheit von Identität und bringt dabei, mittels seines ortspezifischen Projekts, die Grenzen der Intimität ans Licht. 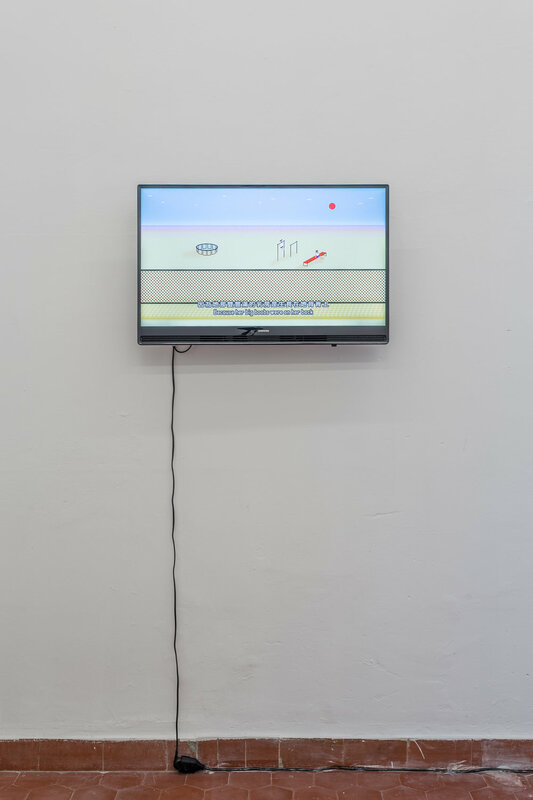 Die multidisziplinäre Künstlerin Donatella Bernardi (Genf, 1976) verbindet in ihrem Schaffen Installationen, Publikationen, Filme, Essays und Kurationen. Ihr neuestes Werk ist eine Hommage an die libanesische Künstlerin Saloua Raouda Choucair (1916-2016) und deren sogenannte „Miniformen“, eine Reihe von kleinen, geschichteten Skulpturen. Bernardis spezialangefertigter „Shaped Canvas“ und ihre handgefertigten Keramikgegenstände flektieren jedoch nicht nur Miniatur- sondern auch Monumentalformate, bei denen die Formen auf die Größe des Bocca della Verita in Rom erweitert werden. Mit einer rauschenden Kaskade von Linien und Marmortexturen ist der Bauch des Phönix eine verschlüsselte Erforschung von Erblinien, Brüchen, Senkungen und Gleichzeitigkeiten. Donatella Bernardi’s Interessen liegen bei Fragen nach Macht, Geschlecht, Post-Kolonialismus, Rassenkonflikten und Kapitalismus. Sie war Teil des Zorro & Bernardo Kollektivs (2001-2006) sowie Co-Founder und Co-Direktor des preisgekrönten, nomadischen und internationalen Festivals, Eternal Tour (2008-2012). Momentan ist sie Direktorin des MFA Programms an der ZHdK, der Zürcher Hochschule der Künste, und war Professorin am Royal Institute of Art (Kungliga Konsthögskolan) in Stockholm (2010-2016). Als ehemaliges Mitglied des Swiss Institutes (Rom, 2006-2008) und Forscherin an der Jan van Eyck Akademie (Maastricht, 2008-2009), schreibt sie eine PhD These zu Events und dem zeitgenössischen Kunst System im Kontext von Globalisierung, betreut von Denise Ferreira da Silva und Stephen Fox (Queen Mary University of London). Nachdem sie den Picker Bursary Preis 2013 gewann, publizierte sie ihre erste Monographie In Pursuit of Unlimited Happiness im Jahr darauf. 2015 war sie als Gast-Kuratorin in der Kunsthalle Bern tätig, eine Erfahrung gefolgt von der Publikation Into Your Solar Plexus (Humboldt Books, 2016). Im Dezember 2016 präsentierte sie einen Teil ihres Recherche Projekts Comunita Olivetti am schweizerischen Institut in Rom, zusammen mit the Work.Master, HEAD, Geneva University of Art and Design. Von August 2017 bis Januar 2018 wird sie eine Residenz bei Landis+Gyr in Zug haben, und im Februar eine Solo Show am Corner College, Zürich zeigen. Mit freundlicher Unterstützung der Fonds cantonal d'art contemporain DIP, Genève. Wong Pings erste Ausstellung in der Schweiz entlarvt den Konformismus und die soziale Korrektheit mittels ihrer einschüchternden Alter Egos: Provokation und Ungehorsam. In seinen haarsträubend-rohen, eklatant-obszönen, hochstilisierten Videoanimationen trifft sexuelle Sprache auf derben Humor, die dadurch zu Katalysatoren für einen verbotenen Trost und eine unterdrückte Befreiung werden. Last Tango zeigt drei Videoanimationen, die sich, vor dem Hintergrund des sich verändernden Status Quo in Hong Kong, mit Unterdrückung und Verlangen, Kontrolle und Begrenzung, sowie mit den politischen, sozialen und individuellen Untertönen von Auflehnung auseinandersetzen. Wong Pings Animationen wurden bereits von M+, NOWNESS und Prada in Auftrag gegeben. Unlängst erhielt er einen Perspectives „40 under 40“ Preis für seine Arbeit und hatte eine Residenz am Chinese Centre for Contemporary Art (CFCCA). Sein Werk wurde bereits international ausgestellt, unter anderem in Manchester, Hong Kong, Istanbul, Berlin und Paris. Seine Animationsfilme wurden auf vielen internationalen Filmfestivals gezeigt, unter anderem in Belgien, Großbritannien. Trevor Yeungs standortspezifisches Projekt für Side Step setzt sich anhand von Zeichnungen, Fotografien und Installationen mit der Welt der Botanik auseinander. Er erforscht die Zusammenhänge zwischen Pflanzenökologie und Vorstellungen von Selbst, Beziehungen und psychologischen Archetypen, wobei er sich vornehmlich für die Mimose interessiert. Bekannt für ihr dezentes Erscheinungsbild und introvertiertes Gemüt (bei Berührung schließt sie sich fest zusammen), sieht Yeung das zaghafte Wesen der Blume als eine Metapher für menschliche Interaktion, und vergleicht sie mit sozial ambivalenten Menschen, die andere durch ihre verstohlenen Blicke anziehen. You Think You Are Mimosa ist ein vorsichtig entworfener Raum, der auf einer Spannung fußt: die Koexistenz von voyeuristischer Intimität und dem Bewusstsein von Sehen und Gesehenwerden. Trevor Yeung machte 2010 seinen Abschluss an der Academy of Visual Arts der Hong Konger Baptist Universität. In seiner Arbeit benutzt er botanische Ökologie, Gartenbaukunst, Fotografie und Installationen als Metaphern, die auf die Entfesselung alltäglicher Erwartungen an menschliche Beziehungen abzielen. Yeung war bereits in diversen Ausstellungen vertreten, wie etwa in „Seal Pearl White Cloud” im 4A Centre for Contemporary Asian Art in Australien (2016), „Adrift” im OCAT Shenzhen in China (2016), „CHINA 8 - Paradigms of Art: Installation and Object Art” im Osthaus Museum Hagen in Deutschland (2015) und bei der Shanghai Biennale 2014 in China. Mit seiner Einzelausstellung „Garden Cruising: It’s not easy being green“ bei der DISCOVERIES-Sektion der Art|Basel Hong Kong 2015 war Yeung einer von nur drei Künstlern, die es in die engere Auswahl des BMW Art Journey Preises schafften. Zur Zeit lebt und arbeitet er in Hong Kong.